I usually highlight a Camino blog for Friday Favorites, but since there aren’t many active blogs in the winter, I opened up the topic to share other great resources. Nancy Reynolds of The Camino Experience does a wonderful presentation called Walking the Camino de Santiago in Spain at REI stores and by special request for groups. I attended Nancy’s talk recently in Berkeley and highly recommend it to anyone interested in the Camino. She shares interesting stats, great tips, fun photos and practical advice—expertly delivered with enthusiasm. Nancy occasionally presents classes on ‘Walking the Camino de Santiago’ at Bay Area REI stores. There’s a Q & A at the end so newbies can tap her knowledge. 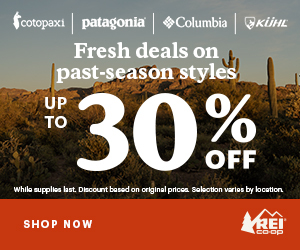 If the REI website shows that it’s booked, get on the waiting list. Even though her presentation is based on the Camino Frances and I have been walking other routes, I learned a lot about the Camino in general. She emphasized how important it is to train with your gear and backpack, ideally for consecutive days, before your Camino. Nancy also recommends staying at hostels to get comfortable with albergue style of communal living and bunk beds. She pointed out that there are many hostels throughout America. Nancy happens to work at the Point Reyes Hostel, which is the first LEED certified hostel in America. Check out the video. This place looks incredible! I am planning a multi-day hike and weekend stay here in the coming months for some pre-Camino training. Look for details in my next monthly Camino and Hiking Events roundup. See you on the trail! Do you have a great Camino resource to recommend? Share in the comments below, or email me. We totally agree with you. Nancy does an incredible job of inspiring, educating, and supporting Camino-bound travelers. 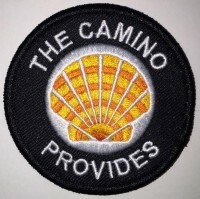 Yes, we’re lucky to have such an inspiring and enthusiastic Camino resource in the Bay Area. It sounds like Nancy’s tours she leads over the Pyrenees are a great for those who need the extra help. I want to see Nancy speak but can’t make it to the bay area. I am hoping there can be one in Sacramento/folsom/roseville somtime i can attend! Kristina, I am hoping to give a class in your area this spring. Just need to coordinate the date…! Cathy, thank you for your kind words. Hope to meet you soon! Ever get up to Point Reyes? I will be in Santa Cruz around April 3/4 – maybe we can meet up for coffee!